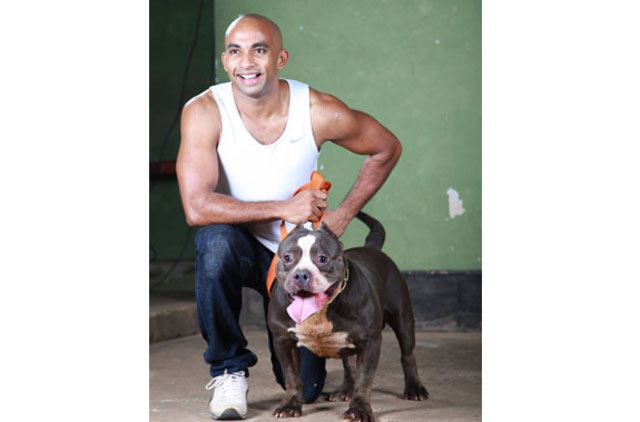 Abu Dhabi: The UAE’s wild pet owners are seeking the services of a dog trainer from Kerala, India, to tame their aggressive pets. The trick, Wolf says, was to act neither as the prey nor the predator. “You should not display any flight or fight syndrome because animals will immediately sense if you are in fear or in combative mood. I remained listless, and did not even make eye contact with the cheetah when it was standing next to me,” said Wolf. That proximity helped him build a bond with the beast, and he could eventually get her onto a leash. After spending 29 days with the cheetah – eating, bathing and sleeping in the same room with her – Wolf says the mission was accomplished. And now he is set to take on the wild in the UAE. “I want to specialise in this field because it is a growing market, especially in the GCC,” said Wolf, who is planning to open a Big Cat Boarding and Training Centre in Dubai by 2015. 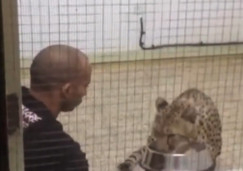 UAE laws prohibit imports of exotic animals for personal or commercial purposes. The list of animals banned for private keeping includes cheetahs, tigers, leopards, jaguars and pumas and all kinds of primates as well as wolfs, alligators, walruses, etc. But according to experts, these laws which came out in July 2013 do not affect existing owners. In the past, such owners are known to have surrendered their wild pets to animal centres once they became big and difficult to control. 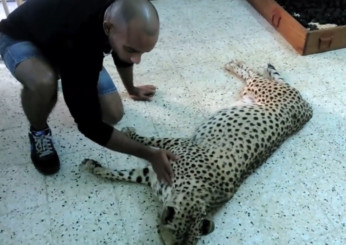 When asked about the illegality of keeping wild pets in the UAE, Wolf said the wild animal has a better chance of surviving and procreating when they are domesticated. “It is tougher for them to survive in the wild these days. Many species are getting extinct. But I feel they are safer under the custody of people who love and protect them as their pets,” he said.